very impressed! it did everything I could ask for. The cover seem to cut a little more, but that outweighs how good it performed! I ordered one dozen of the Pro Soft on Amazon to test out. Same price as a dozen direct from Vice but with free shipping. I'm really just interested in how they play vs the Chrome Soft so I'll report back after I get some playing time with them. Tried all three for multiple rounds and i'm sold on the Pro Soft. They're a club longer than the other two, stop on a dime on the greens, and feel great off the putter face. I love the lime color. To be fair, I don’t think your numbers for costs even remotely reflect what the vast majority of golfers spend a year. I’d wager that he majority of golfers don’t buy a single club on a yearly basis, let alone spend $1500 a year on equipment. And maybe it’s regional or that you’re playing private courses/country clubs, but $2,500-3,000+ in greens fees seems really high. Around here greens fees on munis rarely exceed $35 for 18 (year season passes range about $900-1,400 at public courses muni and non-muni) and even the nicer non-muni public courses rarely exceed $40. That’s A LOT of golf for $2,500+. So, yeah, the cost differences in balls are a little more substantial for the majority of golfers. 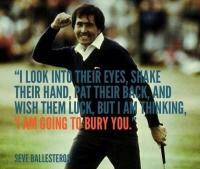 Whether or not they is meanfingul to the finances of an individual golfer obviously varies. Do you mind if I ask what is your club head speed and/or distance for say a driver and 6 iron? I have been playing Pro+ for about 2 years based on their recommendation but perhaps I need to give the Soft a try. I was recommended the Plus also. I tried the Soft on a whim and loved the results. 105 mph driver swing speed. I carry it around 250-260. 6 iron is my 180 club with the soft, 170 with the Plus. Still happy with my purchase. Durability was my main worry based on reviews, but I've had no problems. I even had one ball I played for 45 holes and it was in okay shape. They do show some wear, but nothing unusual compared to other balls I've used. The green and red options are nice to have, but don't overlook the white. 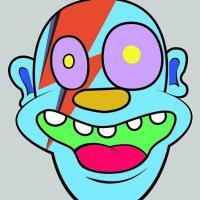 If I hit a provisional, I just switch colors. That's very similar to my numbers! I might have to try to find some of the Pro Soft to try out and maybe switch out after I run out of Pro+. Thanks! After a couple rounds with the Vice Pro Soft testing it against the 2017 Chrome Soft I ended up ordering 5 dozen of the Vice. It matches the CS off the tee and with the irons. Around the green and putting it is so similar in play that I made the switch. 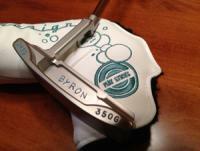 I think it feels a hair softer off the putter then the CS but putts just as well for me. 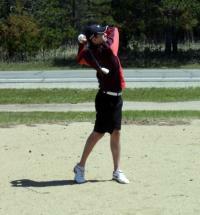 I was not able to tell any noticeable difference in spin with my wedges. But the Vice Lime color just pops and is so easy to follow and find in all locations. My only noticeable "complaint" on the Vice is that matte finish does like to attract dirt more then any other ball I have played. So I do find myself stopping at the ball washer much more then when I played the CS. As far as durability there was no difference for me between the Vice and the CS. 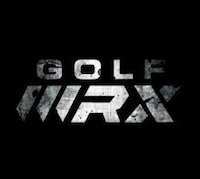 But I will be honest I am pretty easy on the cover of golf balls, always have been as I don't play a lot of full wedge shots usually. 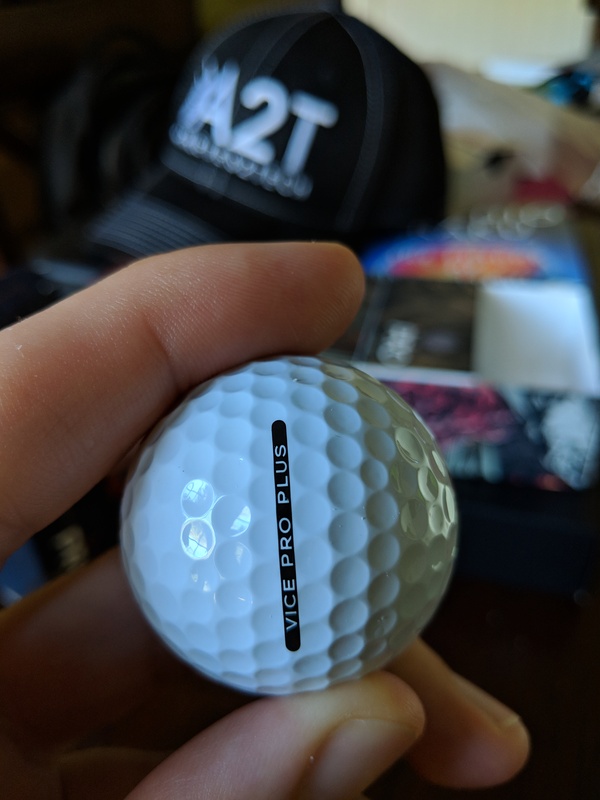 I got to play my Vice Pros in a scramble event over the weekend. Not my preferred testing condition for a new ball but still, I was pleased. Really liked it off the driver, was long and straight for me. After a rough start with my driver due to some swing/setup issues (ended up teeing the ball too high and hitting skyballs for a few holes because I was using longer than normal tees and wasn't getting the ball to my usual height). I eventually figured that out and ended the day hitting long bombs that I was thrilled with. I can be a bit inconsistent with the driver and I haven't had a day driving it that straight in a long time. My iron play was mostly **** for the day, so not sure on that yet. Wedges were good though, had enough spin for me and felt nice. Putting was great, had a good feel. Overall, I'm not super picky on balls but I have nothing bad to say about these and at $25/dz I'm very happy I picked up 5 dozen and will likely come back to order more when these run out. Played the Pro Plus today. Being a Titleist guy all my life i am impressed. So impressed i will put them in play. I found no difference in driving and iron play between the Vice and the ProV1X. Where i noticed a good difference was the spin on the greens. The Vice held the greens wonderfully. As for durability, non issue for me. Always play a new ball. That said, there was a slight scuff mark from a tight lie, hardly noticeable. So, an excellent ball, plus the price point, it can't be beat. Just got the trial box in the mail and have to say I'm a little disappointed in quality control...keep in mind this is before I hit them. Not a performance related issue, but it can lead to one. There is a noticeable seam on these balls compared to the competition. On top of that the alignment aid doesn't line up evenly with the seam it goes diagonal across it. 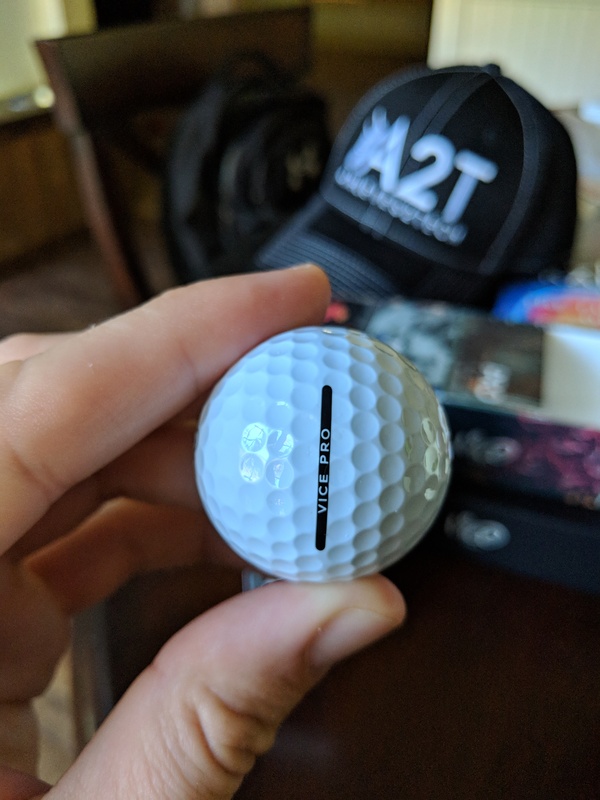 In order for this ball to roll its best it will need to be lined up on the seam, but if you use the alignment aid it won't be lined up correctly. So upon first inspection a quick quality control issue that I noticed. Maybe it’s an OCD thing ? I gave a guy a vice to try and he shot a personal best 74 his first round. Went home and bought 5 dozen. Played another 3 rounds over the weekend with the Vice Pro Soft. So far in my comparison to the Chrome Soft the Vice seems to be much straighter hitting then the CS. At first I thought it was maybe just in my head but I hit a bunch of shots with both balls. But there is definitely more movement for me with a Chrome Soft then there is with a Vice. Distance still seems to be the same with both balls. Wedge play around the greens seems identical to me with the Vice still feeling softer. But I did decided to order 5 dozen after my one dozen test. 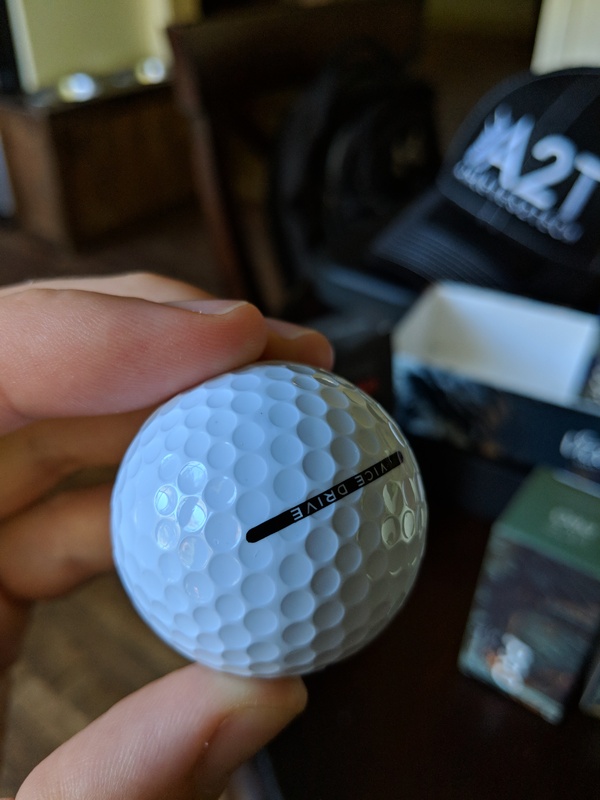 I feel like they are a better ball for me then the Chrome Soft that I loved playing the last couple years. I've played the pro plus all summer and haven't had any issues, but having a seam on the ball never bothered me. ^ No joke, I've never even really noticed the seam when playing with them. Scientifically speaking yes. The reason why all the big ball manufacturers chased the seamless design for years was because the seam, even in the smallest variety, will create a balance issue when rolling or spinning. This is why for years you would see pro golfers with pronounced sharpie lines on their balls directly on the seam. Then they would take forever to hit their putt because they wouldn't hit it until they could get the seam to line up exactly where they wanted to strike the putt. 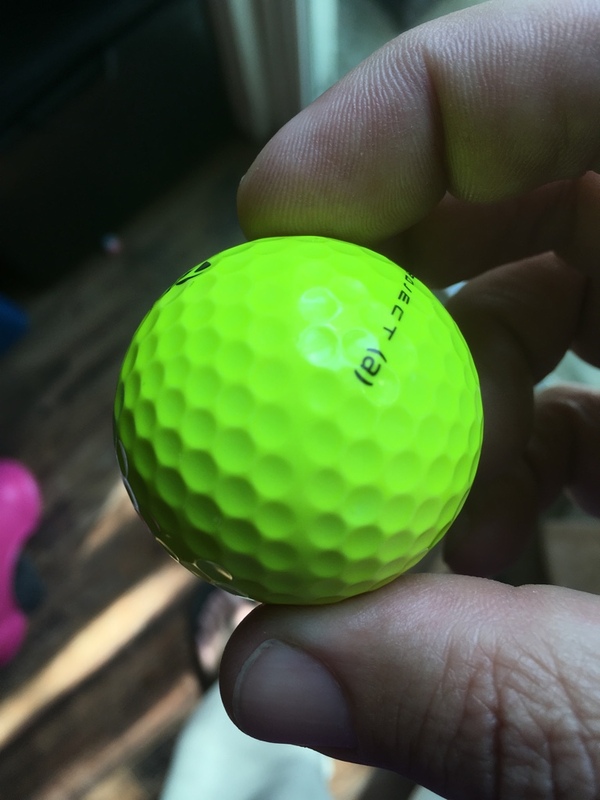 Now that the balls played on tour are seamless you almost never see that anymore because it doesn't matter where the aligning aid is if the ball is seamless. It's 110% an OCD thing for me. I will take them out and test them and hope they perform just as well for me so I can save some money. I was more surprised by it than anything. 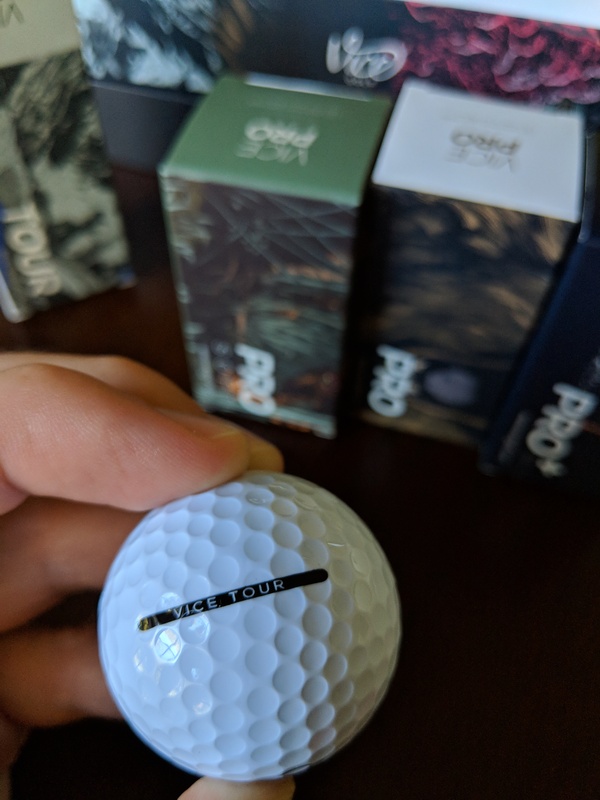 I didn't expect any of these direct to consumer balls that were "as good as the ProV1" to have a seam, but I opened the package and there it was, clear as day. Couple of thoughts here. Technically all balls still have a seam, they are just hidden better under dimples to help with aerodynamics. Not sure if that helps with balance on putting as well or helps overall balance of the ball in general. Looked at a Yellow Project A, the seem is slightly more apparent than the Tp5X and NOT in conjunction with the alignment aid. I never had noticed so I guess the seem doesn't bother me at all. 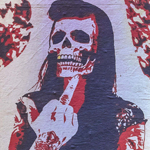 lol - Pic of the Project A coming shortly. Also just checked all 12 of my last dozen of Vice Pros and they all have the line on the seem. What model of Vice did you have ? I have the trial pack, so all five balls(pics below). Based on further inspection the Pro balls are certainly better than the drive and tour balls but still off. 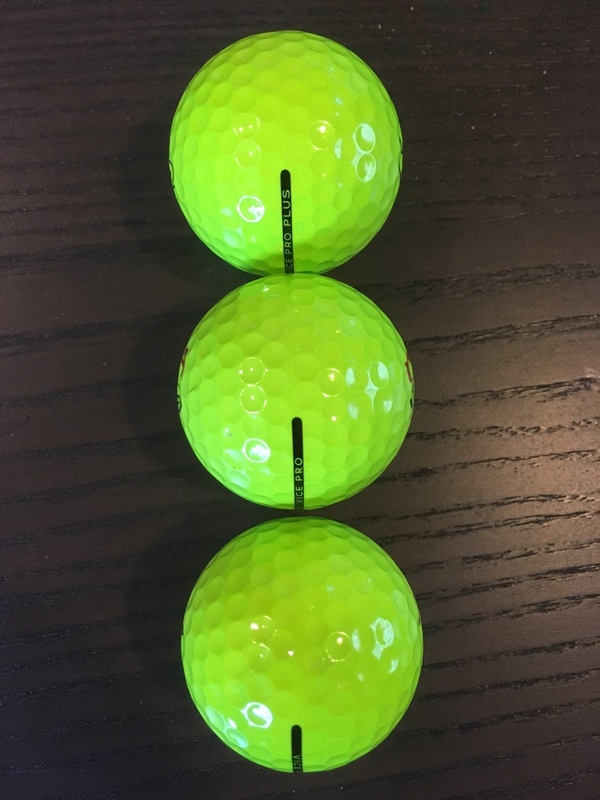 I took the pics aligned with the seam on each ball to illustrate the off kilter alignment aid. Based on your findings if yours are all lined up and you bough 5 dozen, there is potential that they could be sending out cosmetic blems in the trial packs. Just a theory, not sure if there is any truth to that or if they are all slightly off kilter for the most part. It does appear like yours are off except the Pro Soft. Maybe you should contact Vice and see if they want to make you happier customer ? For a trial pack it's not worth it, but if I do go with them for a full order I will definitely bring it up. Lots of balls, even premium ones, have a noticeable seam if you look hard enough. 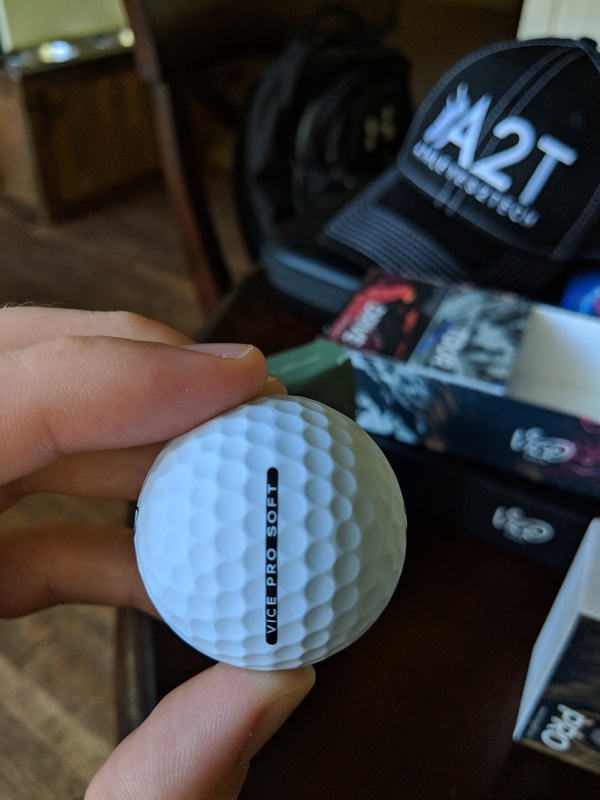 And, I have examples of literally every premium ball brand in my shag bag, and literally every one the alignment aid is off, if you look hard enough. Plus, you're mistaken about your "In order for this ball to roll its best it will need to be lined up on the seam" theory - just like we were mistaken 20 years ago thinking using a ball spinner allowed us to roll truer putts. Other than your OCDing, did you give the ball a try? Trial packs are their "seconds". Being in Europe I ordered quite a few trial packs, wanted to test the hype. When they came more than 3 of the packs were blemished and the 4th pack were full of Maxflis! Really not sure what production process they were running, this was back in 2017. Returned the whole order and they took forever to refund me. Was particularly concerned that some of the trial packs contained U-Fli softs. Though overall feedback seems to be positive. Well now we know the Maxflis are made in Germany as well ? Lol now I want to compare the dimple patterns of the U-Fli line and the Pro line. My one and only experience with Vice was pleasant.